Having the right headphone for the artist your recording is essential! If the singer isn’t inspired to perform then no amount or combination of Compression, EQ or Effects is going to make the vocal sound great! Musicians overdubbing need to hear the rhythm track and/or click properly to play in time. If for instance you have tracked the piano first and decide it is then everyone has to reference that in order to play with the right feel or groove. We all know about using Mix Templates, many of us have them to speed up our Mixing process. 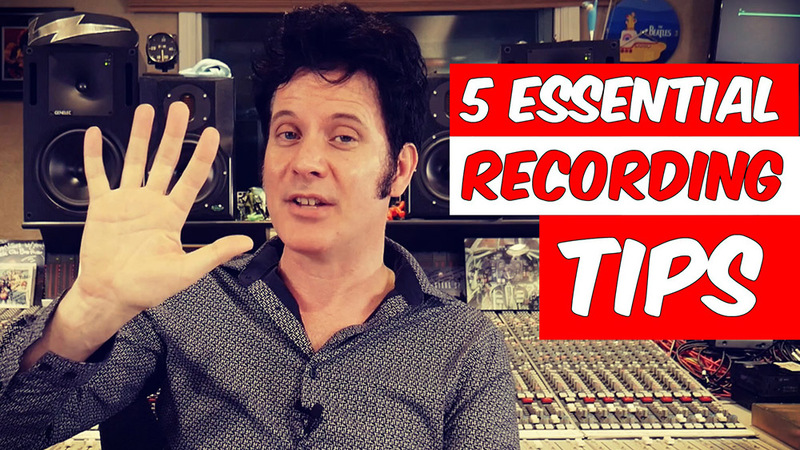 Creating a simple easy to understand Recording Template will speed up your creative process! Having the Mics on Drums, Guitar Amps, Vocals ready to go patched with all of the inputs ready to be armed inside of a Template will help keep up inspiration flowing. Always Be Recording! Having a mic ready to go, any mic, it doesn’t matter if it’s an inexpensive dynamic mic or an expensive condenser. Whatever mic is available to capture an idea as it is created is an amazing mic! Being able to navigate your session quickly and easily keeps your creativity moving. Organising your tracks by properly labelling them and grouping tracks together, keeps it easy to navigate not only for yourself but for anyone else who might overdub or mix your music. 5. Click track or no click track? In Modern Pop Music and EDM we’ve come to rely on music being gridded, Virtual Instruments, MIDI and the tools we have to create make copying and pasting to a grid really easy. Try using a shaker, a loop, or even an instrument that grooves instead of a Click Track! I worked on an Album a few years ago, The Thrills ‘Let Bottle Bohemia’ where we didn’t cut anything to the click. When we came to do the overdubs the piano player’s Groove was infectious, he became our click track, all of the overdubs were tracked with the piano featured heavily in the mix. I even edited some of the drum groove to the Piano player’s feel.